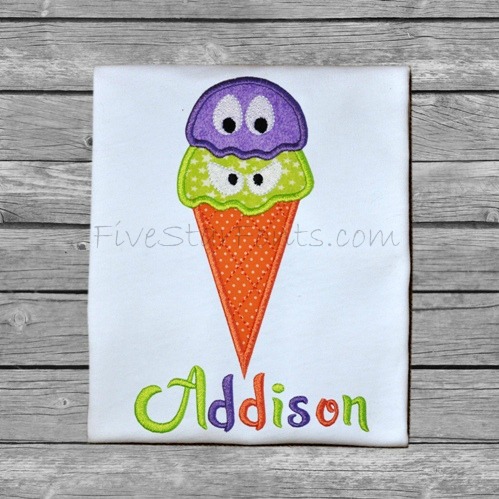 You Scream, I Scream, we all SCREAM for Ice Cream when you stitch this cute cute Halloween Design. 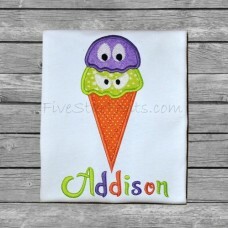 Eye Scream cone - It's not too scary for the little ones! Teens-Tweens will love it too. Only 3 pieces of fabric needed - super fast and EASY. We used our Anna Script for Addison's name. The link can be found in 'Related Products' Tab above.